My weekend at Carey’s blessed me with fun, laughter and memories, and our visit to the market on Sunday added a huge tray of ripe yellow plums to the bounty. What on earth could I do with them? I wanted to make as many goodies as possible and stretch their taste into a variety of genres. Not for me a huge batch of jam or a plethora of chutney. Oh no, this had to be a mission of making, a few days of kitchen creativity where those gorgeous yellow plums could spread their sunshine sunshine in every direction. From that £1 tray I have conjured up plum and mint jam, a spiced chutney, a French style liqueur with almonds and this amazingly sweet and tart Spicy Plum Ice-cream to tempt the taste buds and lift the palate at the end of a meal. I love ice-cream, really good ice-cream. I was brought up in Musselburgh where the famous Luca’s Ice-cream Parlour reigned supreme, winning all the UK awards for their creamy rich confection. I thought I knew and liked icecream having had this bounty on my doorstep since early childhood. However, it wasn’t until I worked on the beautiful island of Sicily in the 1980s that I found out what real ice-cream was all about. They do ice-cream properly in Sicily. They make it rich and creamy, they pack it with natural flavours and fruits to die for. They know a thing or two about their subject and many Sicilians have dedicated their lives to the pursuit of the perfect scoopable creations. Ice-cream is in the blood there, in fact some say it was invented on this rugged island where volcanic heat from the fearsome Mount Etna meats cool breezes from olive groves and the crystal blue waters of the Mediterranean sea. Every village has an icecream parlour rather as every village boasts a pub in the UK. 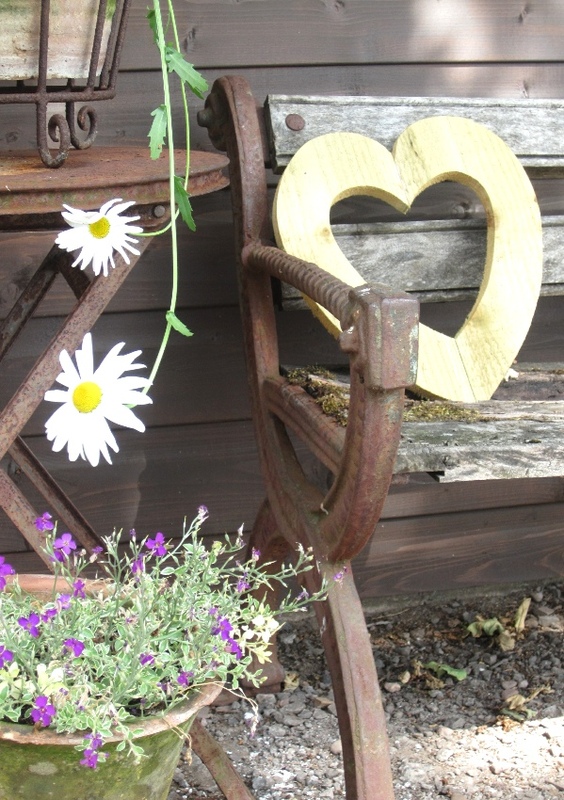 People take their evening stroll and gather for icecream with friends and family in delightful surroundings. Tall stools pulled up at high counters, cafe chairs at tables on the roadside. Menus like those in the finest restaurant boasting nothing but ices in every shape, form, taste and texture. I really grew to love and appreciate ice-cream while I lived in Sicily. 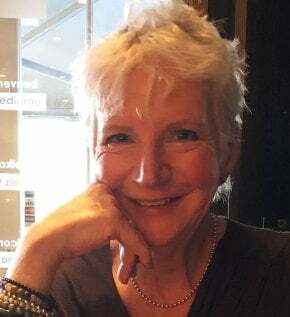 I learned that natural is best, a little goes a long way, and that the marriages of sweet, savoury, spicy and tart should all be considered and embraced as perfect partnerships. No longer would I look on white synthetic as an acceptable substitute for the real thing. I love making my own ice-cream and toying with flavours. I would rather make a small half litre pot of something special than a big batch of so-so ordinary. 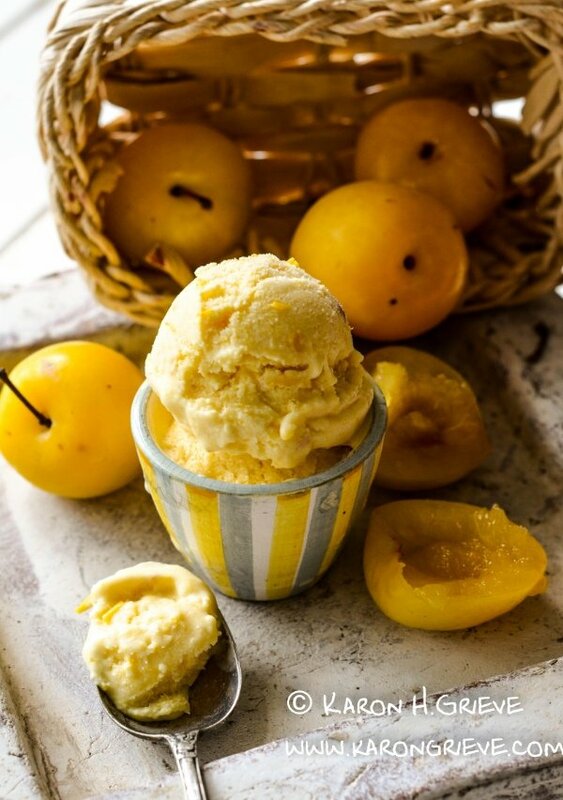 This golden plum ice-cream is a really rich and creamy, it is full of fruit but lightly spiced and makes me think of Sicily and those evenings at ice-cream parlours where deciding on dessert was always way more exciting and challenging than picking a drink in a pub. This is sunshine and happiness, summer fruit with a touch of autumnal spice. Warm and cool, fire and ice. What do you think of when you eat really good ice-cream? Does it take you back to childhood, to beaches, holidays or family memories? Or does it carry you off to far flung places? Come on share your stories, let me know. Let’s share a scoop of memories today. 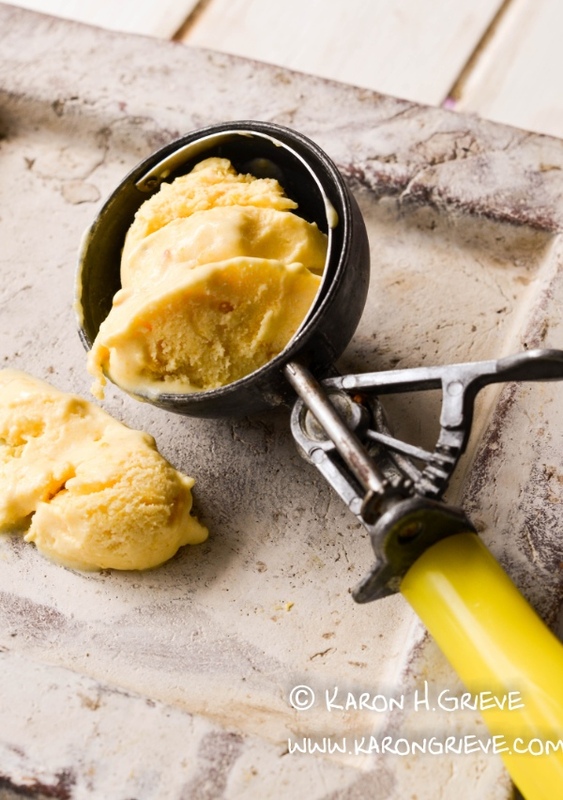 A delightfully rich and creamy icecream that is both sweet and spicy with the colour of summer. Use red plums for a lovely pink icecream. Wash the plums and cut in half removing the stones. Place plums, sugar and spices in a small pan and add the sugar. Heat gently to dissolve the sugar and slowly cook the plums, this takes about 20 minutes. When they are tender remove from heat and allow to cool completely. Puree the plums in a food processor till completely smooth. Stir in the cream, Greek yogurt and cream cheese and chill in the fridge for 1 hour to let the flavours develop. Churn in an icecream maker and then freeze until ready to serve. Cream Cheese?1? Really, in ice cream? I’m stumped by that! We had homemade raspberry ice cream on the 4th – it was so yummy and made with just cream, sugar and raspberries…no cream cheese! But now I’m intrigued so I’m going to have to give it a try! I owe you an email – it’s coming today! The cream cheese really gives a richness and texture. Thank God I made that one last week, way out of bounds now! Yes get that email written! 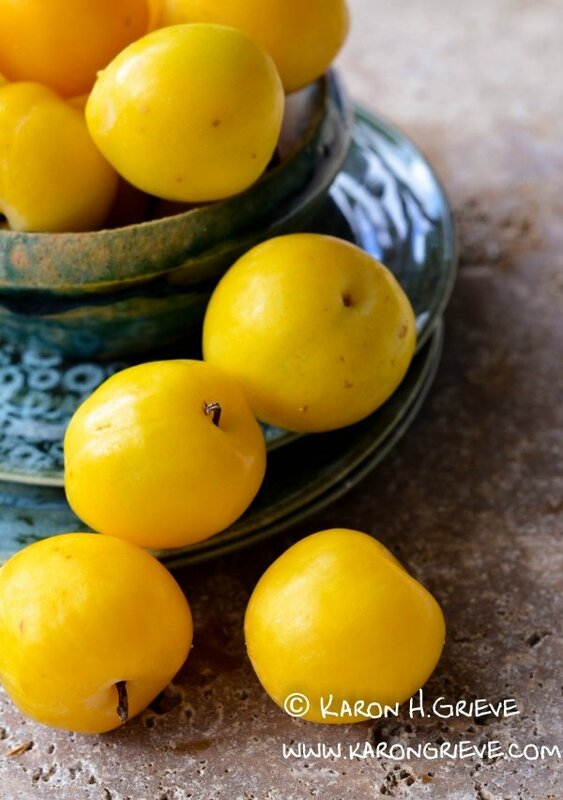 I’ve a glut of mirabelles (the small yellow plums) at the moment and was considering some ice cream BUT I don’t have an ice cream maker/churner. What can I do for the last step manually without one? If you know! I’m a complete kitchen novice having just made my first jam(s), chutneys and spiced /pickled mirabelles with this glut. Thanks! Thought I’d send you a direct email as well as reply on blog just in case you don’t pop back in there to see reply. To make the ice cream you can follow the instructions I gave and then pour it into a shallow plastic box with lid. Put this in the freezed for anbout 2 hours then remove it and scoop into your food processor to mix it all up. You want to break up the ice crystals and put in some air. Put it back in its box in the freeser and do thia again a couple of hours later. Then that is it, back in the freezer for 4 hours and it should be fine. This recipe is absolutely phenomenal. 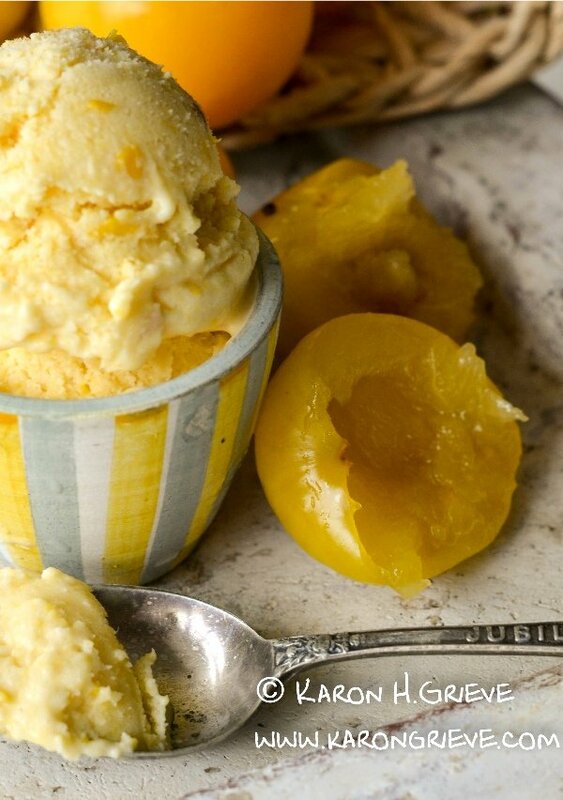 We have a ton of golden plums and am going to make more ice cream with all of them. Thank you for posting it. Was really easy to make and pleased my lactose intolerant friends as well. I love that I don’t need to use eggs. The only thing I changed was adding less sugar because my plums were so ripe and sweet. I will recommend this to all my friends. Glad the recipe worked for you and you liked it so much.